When it comes to Junk Car Removal Chicago, no one provides more reliable services than the experts at We Buy Junk Cars. 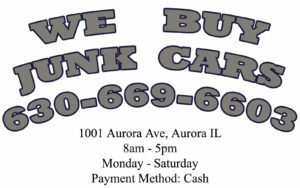 We Buy Junk Cars has been providing junk car removal to the Chicagoland area for over fifteen years! We know that when our clients are in need of removing their old junk car, they expect on time same day service, which is exactly what we offer! If you need your old junk car removed then give us a call for prompt, on time, same day junk car removal service in the entire Chicagoland and NW Indiana area. eir car we make sure to take many details into account for their junk car removal. In the end, we make sure to pay top dollar for our client’s old junk car removal in Chicago! Chicago is what we do and we have phone operators who are standing by to purchase any makes and models. At We Buy Junk Cars we will remove your unwanted Chicago Junk Car in a no worry hassle free manor! We offer free removal of junk cars in all of northern Illinois and NW Indiana. We are the experts in junk car removal in Illinois and make sure to pay our clients top dollar! 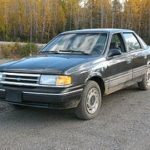 If you have an old or unwanted car and you are looking to remove it then don’t wait another minute and call the Junk Car Removal experts at We Buy Junk Cars! junk car removal	Overall rating:	5	out of 5 based on 3	reviews.